The report took all of the data collected in the Phase II clinical trial of Exenatide in Parkinson’s, and an analysis was conducted to see if the researchers could identify characteristics of the people who responded best to the drug. Exenatide is a drug that is used to treat diabetes. It is marketed under the name Byetta or Bydureon. We have recently discussed at length what exenatide is, how it works, the results of the clinical trials in Parkinson’s, and the follow up analysis of the results of the Phase II trial (Click here to read that post) – so we will not repeat all of that here. Title: Post hoc analysis of the Exenatide-PD trial – factors that predict response. Authors: Athauda D, Maclagan K, Budnik N, Zampedri L, Hibbert S, Aviles-Olmos I, Chowdhury K, Skene SS, Limousin P, Foltynie T.
As I mentioned above, in this study, the researchers collected all of the clinical data from the Phase II Exenatide study, and analysed them to determine if they could identify characteristics that could possibly be used to predict which individuals with Parkinson’s may respond to the drug. Journal: Lancet 2017 Aug 3. pii: S0140-6736(17)31585-4. 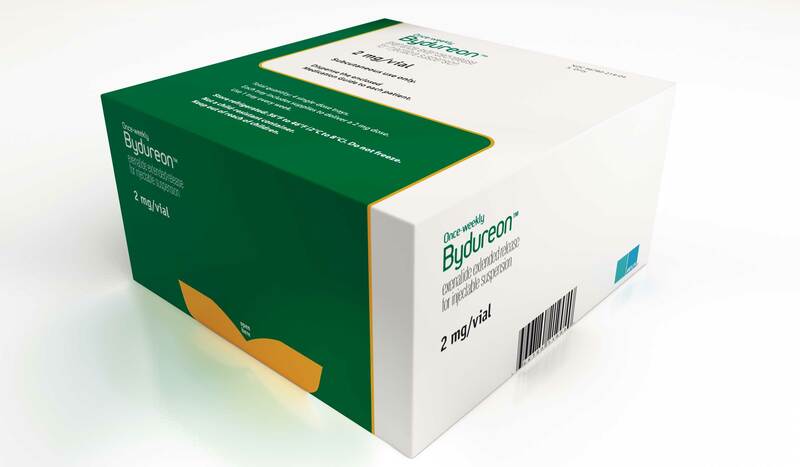 In that clinical trial, 62 people with Parkinson’s (average time since diagnosis was approximately 6 years) and they randomly assigned them to one of two groups, Exenatide (the Bydureon formulation which is injected once per week) or placebo (32 and 30 people, respectively). The treatment was given for 48 weeks (in addition to their usual medication) and then the participants were followed for another 12-weeks without Exenatide (or placebo) in a ‘washout period’. It is important to remember that in this trial everyone was blind. Both the investigators and the participants. This is referred to as a double-blind clinical trial and is considered the gold standard for testing the efficacy of a new drug. The researchers found a statistically significant difference in the motor scores of the Exenatide-treated group verses the placebo group (p=0·0318). While the placebo group continued to have an increasing (worsening) motor score over time, the Exenatide-treated group demonstrated improvements, which remarkably remained after the treatment had been stopped for 3 months (weeks 48-60 on the graph below). Naturally, given a positive effect on the motor aspects of Parkinson’s, the investigators were keen to assess who in the treatment group responded the best to Exenatide, and then try to work out if there were any specific shared characteristics about those individuals which may help in determining who might respond to Exenatide in future trials? Of the Exenatide trial participants who were randomly assigned to the treatment group, 14 (45%) of the subjects had an improvement of their motor score (according to the MDS-UPDRS Part 3) of at least 3.25 points at the 48 weeks time point. These individuals were classified as “high responders”. Interestingly, there were also suggestions in the results that participants who had insulin resistance or were obese at baseline had better outcomes on Exenatide with regards to their cognitive ability (but this was not statistically significant). Now after reading these results, it is important to remember that the analysis was conducted on small numbers of participants (for example only 5 people in the Exenatide treatment group were considered tremor-dominant). And the researchers have stressed throughout the report that these new results are based on a post hoc analysis, which in no way should be interpreted as evidence of efficacy (irrespective of any statistical threshold). This type of analysis is only conducted for hypothesis generating purposes (especially on such a small sample of participants – just 32 people treated with Exenatide). But the trends in the results are interesting, and will be tested in a Phase III clinical trial of Exenatide that is hopefully not too far away. Parkinson’s is a heterogeneous condition – this means that there is a lot a variability in the presentation of symptoms/features between people affected by the condition. For example, some folks are more tremor dominant, while others have more rigidity issues. There are also differences in how people respond to treatments – some people need higher doses of L-dopa for example. Identifying characteristics that differentiate between people who may or may not respond to a particular medication is invaluable information, as it could allow us to better target treatment (in a more personalised fashion) for future diagnosed individuals. Recently the researchers who carried out the Exenatide clinical trials have conducted another analysis of their data to assess if they can determine specific characteristics associated with the people who responded to the drug in the study. This post hoc analysis points towards younger, recently diagnosed, tremor-dominant individuals as having a better response rate to the drug (compared with others in the treatment group). It will be very interesting to test whether there is any validity to this trend in the next stage of testing Exenatide in Parkinson’s, which will be a much larger (hundreds of people) phase III clinical trial. More on that soon hopefully. The report discussed in this post had a touching preface. Tom Isaacs was a driving force behind much of the basic science and clinical research regarding exenatide and other glucagon-like peptide-1 receptor agonists as potential repurposed treatments for Parkinson’s disease. He personally represented patient opinion on the Exenatide-PD Phase 2 trial Steering committee. He was greatly interested in if and how new treatments might be more suitable for one patient rather than another and was very keen that we explored the results of this trial in depth to learn what we could about potential different responses to exenatide in different people with PD. A heart warming aspect of the Exenatide study is that Tom found out about the result shortly before he passed away last year. Tom and the Cure Parkinson’s Trust were one of the main driving forces behind the first Exenatide study and Tom attended a closed-door conference in May of 2017 when the results of the phase II trial were first presented and discussed. You will understand that he was very pleased with the results. Simon, thank you as always. I am wondering if you can help me understand something. You mentioned in your post that the high responders improved at least 3.25 points. Would you mind helping me understand what kind of improvement does that look like. I also wonder what the range of improvement was. Finally, I am hopeful about the results Over longer periods of time, versus 48 weeks. Thank you again for your tireless work and for helping the Parkinson’s community. Thanks for your comment. Yes, I should have provided a better understanding of the motor scores. The motor scores of the UPDRS range from 0 (Best score possible) to 52 (https://www.phusewiki.org/wiki/index.php?title=Unified_Parkinson_Disease_Rating_Scale_(UPDRS). The treatment group in the Exenatide study started at an average score of 33 (while the treatment group were approx. 27). Across the 48 weeks of the trial, the control group climbed up to 29, while the treatment group fell to 30. There was a 12 week washout period at the end of the study (weeks 48-60) where no exenatide was given and the treatment group still appears to have been better off compared to the control group. Basically, while some individuals in the treatment group, felt better on Exenatide, the take home message of the trial was that the treatment group on average did not progress with regards to their motor scores. And while this result was statistically significant, some in the research/patient community have asked whether the result was clinically significant. I think that this is a fair question to ask, but it shouldn’t be overlooked that this was the first randomised, double-blind clinical result to show any effect. It was simply a first successful step. Clinical significance is a question to be asked in the planned Phase III study. It would be interesting for the investigators to include some patient specific measures to better determine whether there are benefits to general life-style and well-being.